Cloud services are fast becoming an indispensable tool for businesses of all sizes. In fact, according to Gartner, 93 percent of companies have already deployed or are already using cloud-based solutions in their organizations today. 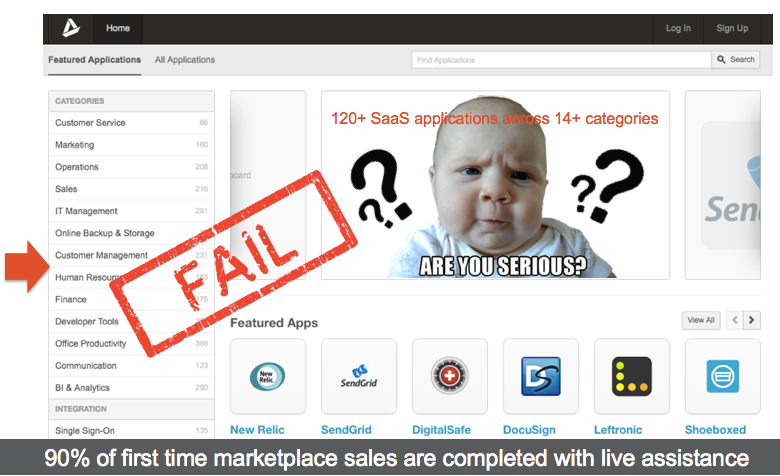 For cloud service providers, however, the process of selling these applications rarely seems this easy. For businesses interested in selling cloud services, having a strong go-to-market plan in place from the very beginning can be the deciding factor in the ultimate success or failure of a marketplace. In this post, we’ll take a look at two key building blocks that create the foundation for a strong GTM approach: app portfolio strategy and the value proposition. Often, the very first step in a provider’s cloud journey is building a meaningful portfolio of cloud services to include in its marketplace. It is also the very first step that providers often get wrong. Indeed, most providers fall victim to something we call the “if you build it, they will come” syndrome. This is when providers decide to simply stuff their marketplaces full of as many applications as they can, whether relevant or not. Their reasoning? With a fully stocked marketplace, business customers come to the marketplace, find and application that suits their needs, and buy them on their own. In our experience, this approach is almost always guaranteed to fail. There are more than 10,000 business applications available today, a number that continues to grow. While a few of these apps are well-known products that come from global leaders like Microsoft, Google, or Symantec, most of them are developed by startups. Innovation is great, but it means that these smaller apps are more likely to be unknown outside of their local or niche market. Unlike consumers, small to medium-sized businesses (SMBs) don’t have time to waste on testing unknown apps, and they certainly don’t want to take any unnecessary risks that could impact their business if something goes wrong. The bottom line? It’s unrealistic to expect SMBs to spend time on researching and trying out apps to see which ones fit their business needs. In fact, the exact opposite is usually true: SMBs seek out expert guidance to make the best possible software choices. A recent report, Successful Cloud Partners from IDC, shows that 84 percent of SMBs want an established relationship with a trusted vendor who can advise them on cloud services. We see this fact reflected in our own marketplace data, where 90 percent of first time marketplace sales are completed with live, real-time assistance from a sales or customer support person. For vendors, becoming a trusted partner won't happen overnight, and it won’t happen unless they commit to regular, face-to-face interactions that provide value to both parties. As you can imagine, it’s difficult to master and become an expert on any given business application. The “trusted advisor” approach is only scalable, at least initially, across a finite set of highly relevant cloud applications. That’s why it is critical for providers to focus on building a curated portfolio of applications, one that reflects their own objectives, target market, and capabilities over time. Here’s a brief case study that demonstrates the power of the “land and expand” approach from one of AppDirect’s partners, GoDaddy. 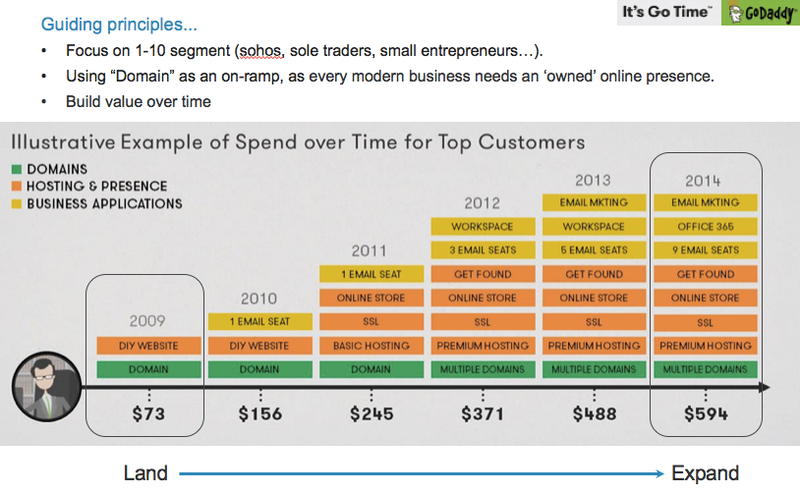 This strategy and guiding principles are reflected in the chart below, which illustrates an example of spend over time for GoDaddy’s top customers. It starts (or in this case “lands,” meaning the first phase of “land and expand”) with domain names at $73 per year. Then, over time customer care representatives gradually cross-sell business customers on additional, highly relevant adjacent services, like website building tools, premium hosting, online stores, SSL certificates, Office 365, and other products. Ultimately, GoDaddy is able to expand its product stack to eight or more service with an 8x monetization uplift after six years, to $594. With AppDirect, providers can be in a strong position to utilize the “land and expand” strategy. We have developed a vast ecosystem of cloud services which are fully integrated into our catalog and ready to be deployed in any marketplace. 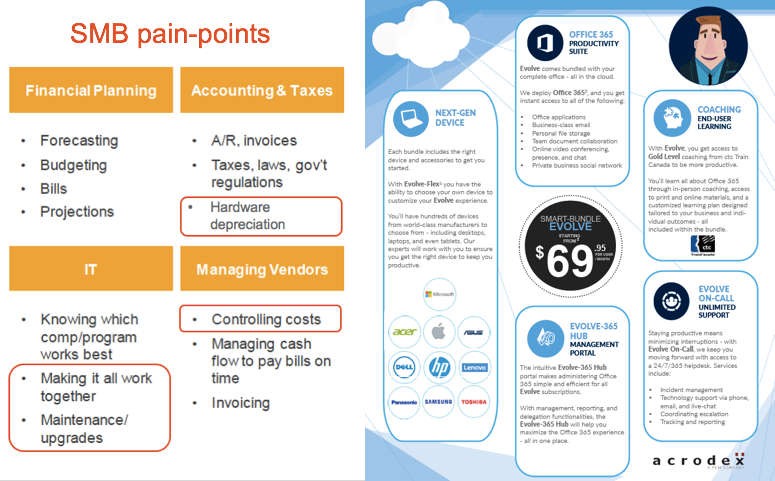 These solutions reach across SMB and enterprise segments, across horizontal and vertical use cases, solve for common business needs or industry-specific pain points. 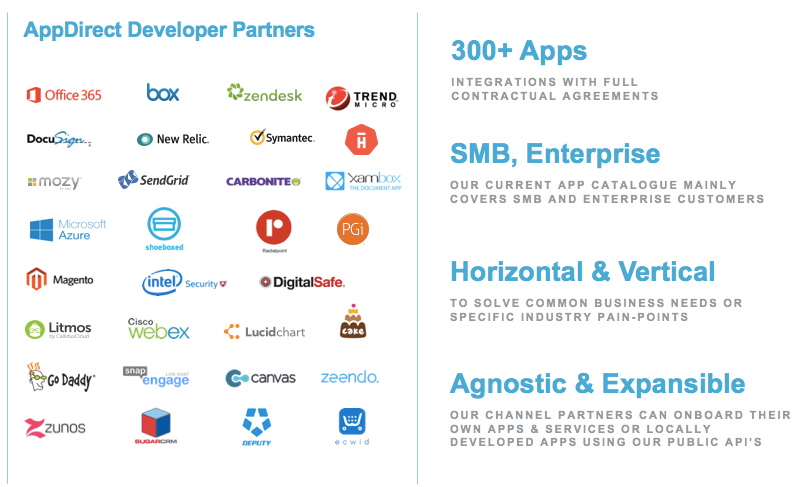 Moreover, because AppDirect is an agnostic platform, providers are free to use our APIs to integrate their own products and services, or onboard locally developed SaaS applications to maximize relevancy and differentiation. This not only gives providers maximum flexibility, but also puts them in the strongest position to make strategic choices about the most relevant solutions depending on their specific market, objectives, target segments, onboarding capabilities, and other variables. Once a provider has built a portfolio strategy and determined which apps are most relevant to their prospects and customers, the next step is to develop a compelling value proposition. At its core, these are the reasons why a buyer buys and why they should make the purchase from you. 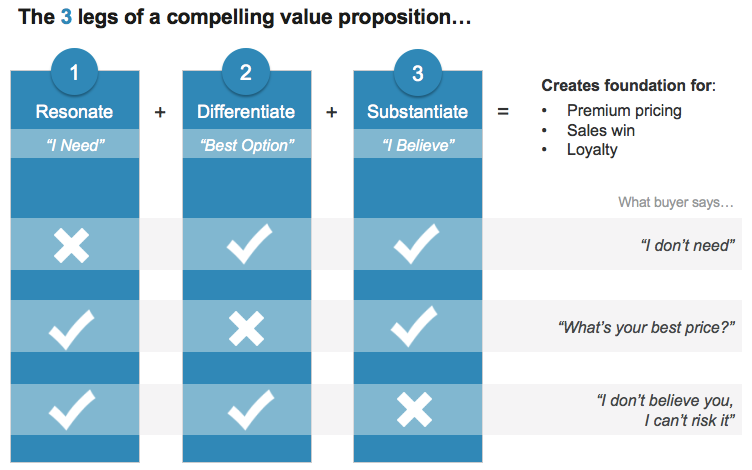 Without a clearly defined value proposition, providers won’t be able to drive sales. Leg one: Your offerings must resonate with buyers. They have to want and need what you’re selling. Leg two: Your have to differentiate your offerings. Buyers have to understand why you stand out from other available options. Leg three: You you have to substantiate your promises. Buyers have to believe that you can deliver on what you say. As you can see from the graphic above, take any one of these away and selling becomes much more difficult. If your offerings don’t resonate, people won’t buy what you’re selling—or won't buy it from you—because your products and services aren’t meaningful to them. If you don’t differentiate, buyers will go elsewhere for the product, which will also put downward pressure on prices. If you can’t deliver on your promises, buyers won’t believe you and won’t risk working with you. On the other hand, when you take the time to create a rationale for all three legs, it will create a foundation for premium pricing, better close rates, and increased customer loyalty. With this in mind, let’s look at a few ways that providers can resonate, differentiate, and substantiate. 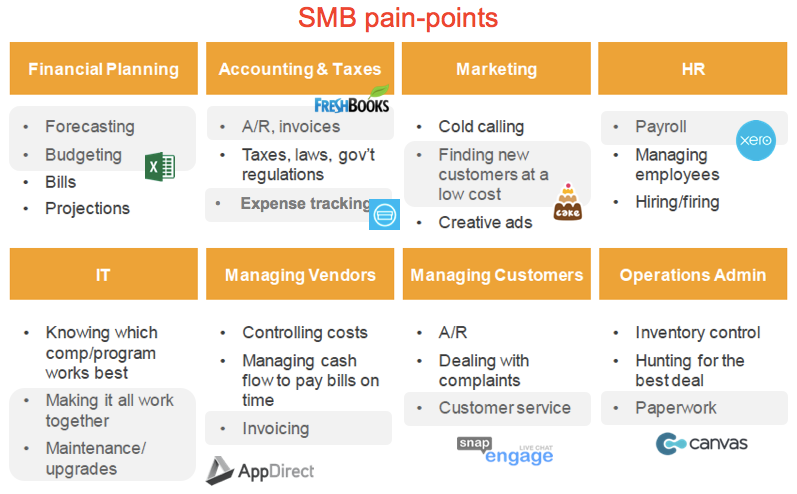 The first way to resonate is to look at common pain points that SMB buyers are facing and map solutions directly to them. It’s a straightforward and very efficient way of building the first leg of a value proposition. 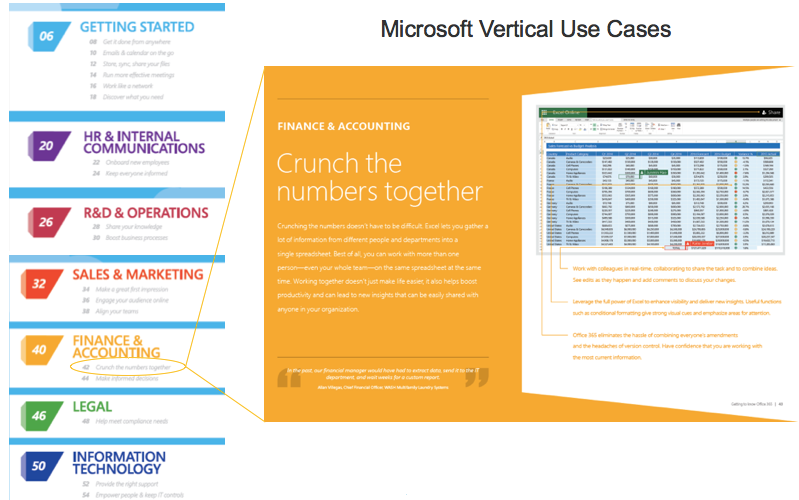 Another way to resonate with buyers is to identify vertical use cases, similar to the ones that Microsoft has mapped out for Office 365. The company has matched uses and functionalities against specific company departments, such as sales and marketing, finance and accounting, HR and communications, and others. 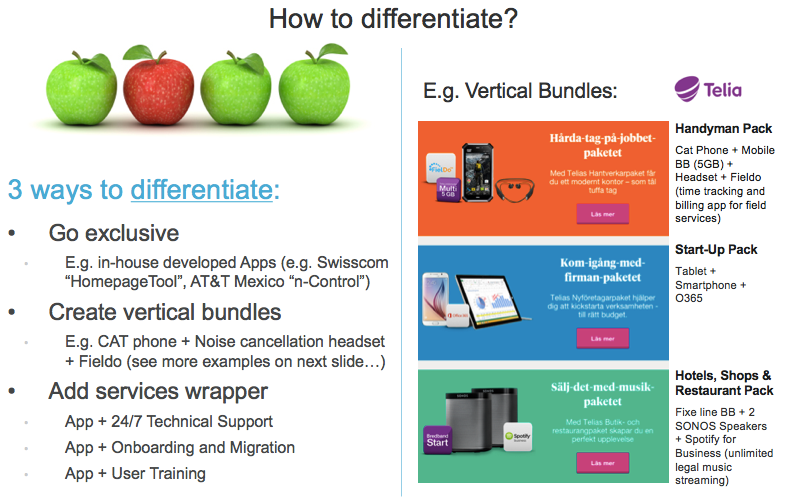 Moving to the second leg, differentiation, there are several ways to set yourself apart. One is to develop your own service, such as creating a new app or service that only customers can access. For example, Swisscom created a solution called HomepageTool, a drag-and-drop website builder for small businesses. Another strategy is signing an exclusive distribution agreement with an ISV; this ensures that you will be the only channel partner in a given country or region to offer a particular cloud service. Companies can also create unique vertical bundles to meet specific customer needs. 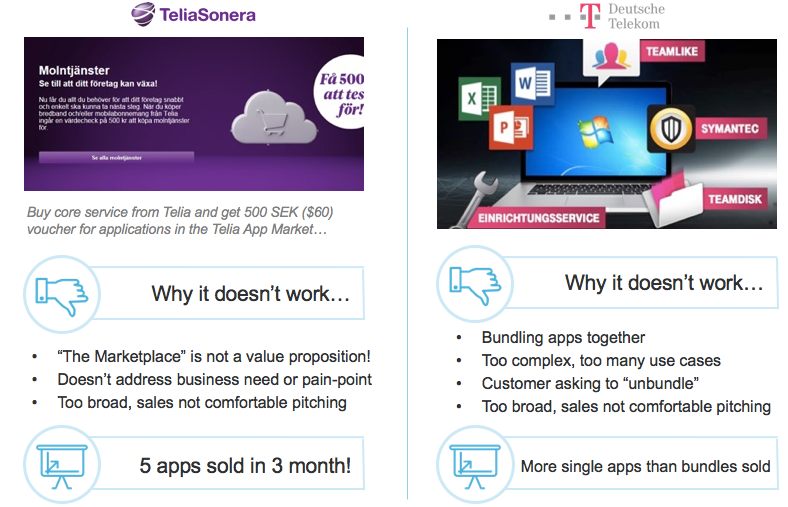 For example, Telia has created different “packs” based on SMB industry verticals. These include a Handyman Pack for contractors, a Start-Up Pack for businesses just getting off the ground, and a Shops & Restaurants Pack that bundles Sonos speakers with Spotify for Business and high-speed broadband so owners can legally stream music in their establishments. One final way to add value is to add a service “wrapper” around a cloud software product. These services can include customer onboarding, user training, data migration, 24/7 premium support, and other areas that customers often need help with and view as extremely valuable. Providing added services can help increase perceived value, drive adoption, and boost NPS scores. Last but not least, providers need to substantiate the claims they’ve made as part of their value propositions. To do this, it helps to be a trusted brand; you don’t have to be the biggest or most well-known, but building your reputation with customers should be a top priority. We’ve laid out the three parts of a successful value proposition. Now, let’s take a look at a few real-life examples and run them against the framework to see if they resonate, differentiate, and substantiate. First, Telia: The example above shows the company offered any new business customer a $60 coupon that could be used on the Telia App Market. The first element of the value prop, resonate, was not met; the “app market” concept may not mean anything to the customer, so a $60 coupon isn’t actually that valuable. 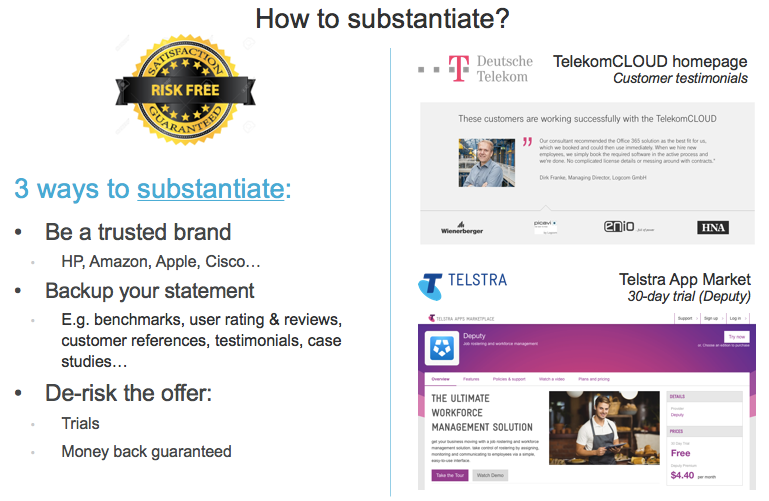 Moreover, Telia Company sales representatives were not comfortable making this offer because they couldn’t articulate what the customer could buy with the “free money” and how it would be valuable to their business. As a result, only 5 customers redeemed the coupon over a three-month time span. Next, Deutsche Telekom: The German telecoms giant tried a strategy of bundling multiple apps together. Similar to Telia, the first element of value prop was not met, but the offer failed for a different reason; it was too rich and too complex. 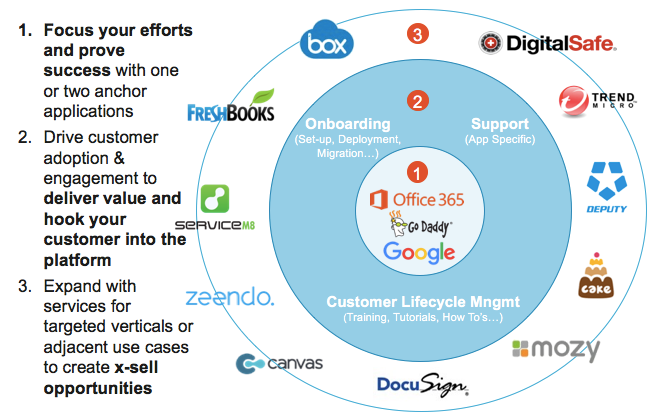 The bundle covered too many different use cases—productivity, collaboration, security, backup, and more—and most customers ended up asking to debundle because they were already using Office 365 or Symantec. Now, let’s look at another example: Acrodex, an IT services provider based in Canada. This company has created a bundle called EVOLVE, which includes hardware, software, and services. Does it resonate? Yes, because its value proposition solves a lot of the pain points that most businesses are facing, namely controlling costs, hardware depreciation, maintenance and upgrades, and other factors. Does it differentiate? Yes, because the offer combines a unique mix of hardware, software, and services that competitors—Microsoft, for example—cannot match. Does it substantiate? Again yes, because Acrodex is a leading IT solutions provider in Canada and a brand of PCM, a leading technology provider in the US. This means both brands are well-known and trusted. As you can see, even large global providers can hit roadblocks when developing strong value propositions. But, which planning and patiences, any provider can find a formula that works for them. Be sure to check back here often for additional posts covering all 12 of the building blocks for a successful SaaS go-to-market strategy. If you’d like a sneak preview, you can watch our on-demand webinar on the same topic here.